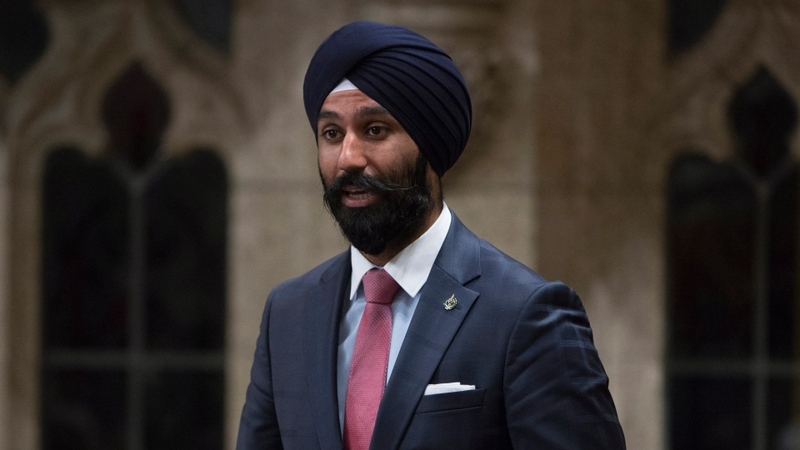 OTTAWA -- Outgoing Liberal MP for Brampton East Raj Grewal is resigning his seat to seek treatment for a gambling addiction, that has led him to rack up "significant personal debts." In a statement, the Prime Minister’s Office said that they learned earlier this week that he was receiving treatment "from a health professional related to a gambling problem." "Based on these circumstances, we agreed that his decision to resign as Member of Parliament for Brampton East was the right one. We hope he receives the support he needs," the statement said. Documents obtained by CTV News show that Grewal and his wife were heavily mortgaged, buying a unit in a downtown Toronto luxury condominium for $1.3. million in January, and taking out a $1.5 million mortgage against it. Before they married this past summer, Grewal's wife also borrowed against a property she owned, taking out a $400,000 mortgage on a condo last year she had paid $324,000 for two years earlier. On Thursday, Grewal announced he would be resigning his seat for "personal and medical reasons." In a post on his Facebook page, Grewal said it’s a decision he has struggled with and made with "great difficulty and real sadness." "I feel I need this time to focus on my health and family," Grewal said. Commenting on the departure of one of his Ontario MPs, Prime Minister Justin Trudeau said he learned Wednesday that Grewal was facing "serious personal challenges," and that while it may have been a tough decision, it was the right one. “I hope he receives the support he needs,” Trudeau said in the statement. It remains unclear why the gambling issue was not disclosed when his resignation was announced. The rookie MP was first elected in 2015, taking back a Conservative-held GTA riding. Since coming to Ottawa he has held roles as a committee member on the House of Commons Health, Finance, and Government Operations committees. Grewal had been re-nominated by the Liberal Party to seek re-election in 2019. Responding to media requests, the PMO made an unexplained reference to the police, saying that they are not aware of any Peel Regional Police investigation related to Grewal's gambling, but that they are aware the RCMP made inquiries "regarding the circumstances that were the subject of a complaint to the Ethics Commissioner about Mr. Grewal earlier this year." The ethics commissioner had been looking into Grewal potentially being in a conflict of interest for inviting a business associate to events during the Prime Minister’s trip to India. Commissioner Mario Dion has not yet issued his report or findings on the matter. Both the RCMP and the Peel Regional Police told CTV News that they can neither confirm nor deny they are investigating the matter. “In addition to being a colleague, Raj is a friend and you know, in this environment it’s a demanding work environment, obviously hope that he fully recovers, hope that he’s got the full support of his family and his friends to get better and I would think that whether you’re in politics, or regardless of what profession you’re in, you wish somebody who has these personal circumstances the very best,” said Liberal MP Marco Mendicino.